*You may want to decrease or completely eliminate the spices if you have sensitive skin. 1. Place everything in a medium size bowl. Mix until well combined. 2. If you wish, make your own label. To make my label, I used scallop-edged scissors to cut a piece of paper from an old grocery bag. 3. 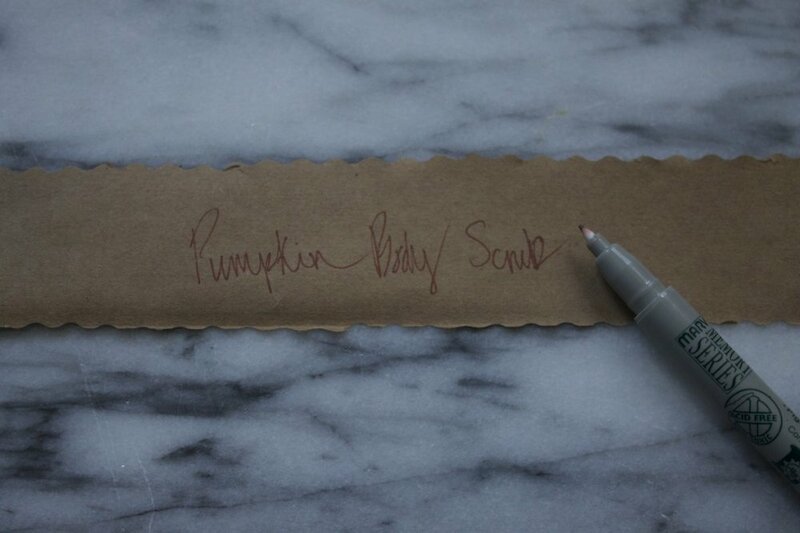 Pour your scrub into the jar, then affix the label. Keep refrigerated and use within one week of making it.